-Cordless tooth polisher and stain remover is specially designed to polish away ugly tooth stains that ordinary toothbrushes cannot with a gentle rotary motion. Convenient -Polishes away tooth stains in the comfort of your home. 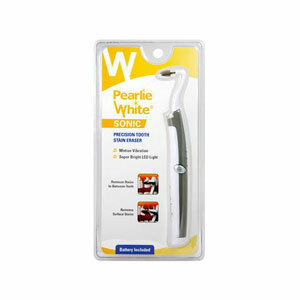 Easy-to-use -Simple operation and can be used in conjunction with any toothpaste to enhance teeth cleaning. Great value -Comes with 5 long lasting polishing cups which will last up to 100 polishes each, and 2 long lasting AA batteries for immediate usage. 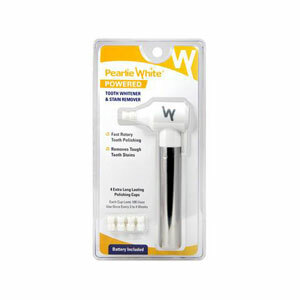 -Use powered tooth whitener occasionally (once a month) only on areas with surface stains. Do not apply too much pressure whilst removing stains. -Tough stains that have accumulated over the years and intrinsic stains (i.e. stains that occur within teeth rather than on the surface) can only be removed by your dentist. -Do NOT immerse this product in water. Clean by wiping the head of the item with a damp cloth or alcohol wipe. 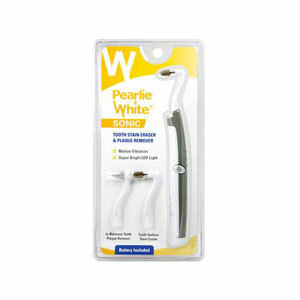 -This product is not meant to replace daily brushing or visits to your dentist.